To climb Everest Base Camp is in the bucket list of every adventure lover. So, how to fulfill the urge to witness the soaring Everest up close? How to reach the Everest Base Camp and Kala Patthar? This dream is possible with a trek from Lukla through the patches of Sherpa settlements in the Everest region of Nepal. Catching the spectacular views of the chain of Himalayas and stunning landscapes, you will walk for 10-12 days during Everest Base Camp trek. The best time to climb Everest Base Camp is Spring (March-May) and Autumn (October-November-December). 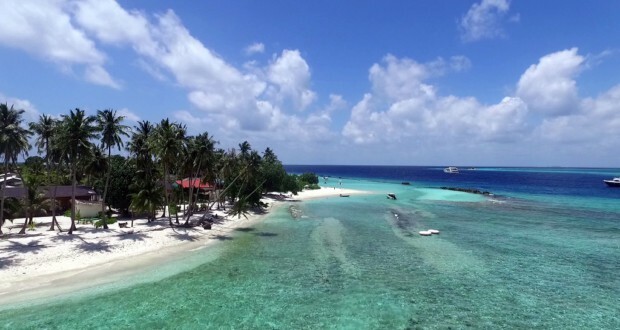 These seasons have a moderate temperature with stable weather conditions offering sharpest views. If you want to experience Nepalese festivals along with the trekking, then I would recommend to do trekking in Nepal in October, November or December. During this time, Nepal celebrates its major festivals like Dashain, Tihar, and Chhath. This is your initial step to climb Everest Base Camp. Nepali tourist visa (15/30/90 days) are available for USD $25/40/100 respectively. You can fill the online form or you can fill the visa form upon your arrival at Tribhuvan International Airport. Beside visa, you have to carry extra passport-sized photos and copies of your travel insurance that covers your emergency charges and loss of baggage. Plus, you will need Sagarmatha National Park Entry Permit and a Sagarmatha Regional Permit. You can get these permits at Tourism Board Office, Kathmandu and Pokhara. If you could not manage to get them there, you can get them at the entry point of Sagarmatha National Park, Monjo. 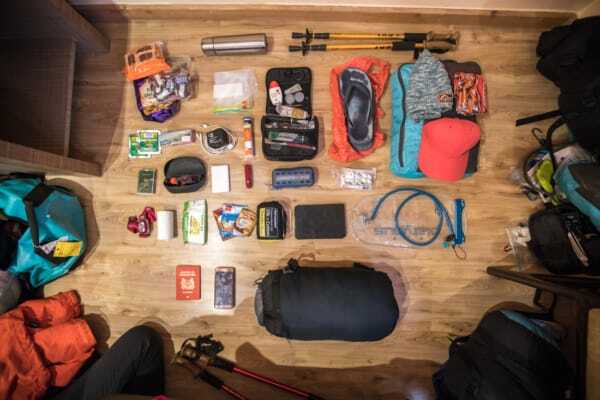 Proper packing for Everest Base Camp trek determines your trekking experience. You will stay in a high altitude cold region with fluctuating weather conditions for many days. So, you must pack your necessaries cautiously. While packing, remember not to overpack. It increases load thus adding discomfort. But, if you are planning to combine EBC trek and document your journey in pictures, you need to pack extra photography gears. Your trek to Everest Base Camp begins from Kathmandu. From Kathmandu, you will first take a direct flight to Lukla. From Lukla, you will start the actual trek on foot to climb Everest Base Camp. Lukla is a small town at foot of Mount Everest and is your gateway. 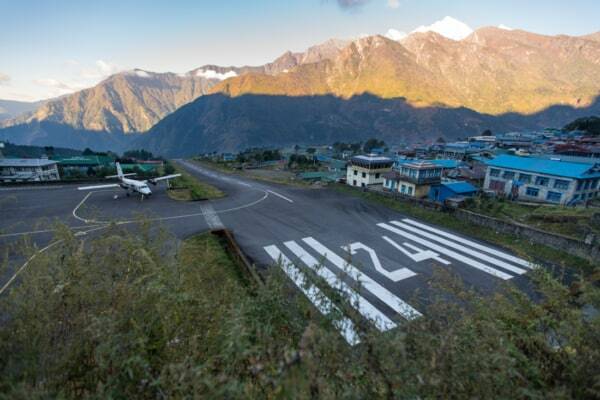 It also has the most dangerous airport (Tenzing Hillary Airport) in the world with runaway of only 1500 feet (527m) and 65 feet width. But, if you want to avoid the Lukla flight, you can take a drive from Kathmandu to Jiri and start the trek to Lukla and follow the trail to Everest Base Camp. Once you reach Lukla, your actual tour to Everest Base Camp begins. Each day you will walk for 5-6 hours on the terrains of the Everest region and spend the night in the teahouses on the route. Your first destination from Lukla will be at Phakding where you will reach following the waves of Dudh Koshi river. From there, you will trek to Namche Bazaar on entering through the Sagarmatha National Park. At Namche Bazaar you will spend an extra day for acclimatization to prevent altitude sickness. The next day, you will trek to Tengboche and spend time in the Monastery there which is among the oldest in the region. Catching the panoramic views of Mt. Everest with its neighboring peaks, you will then walk to Dingboche. In this place, you will spend your second acclimatization day and take time to adjust with the changing altitude. After acclimatization, you will continue walking to Lobuche and to Gorak Shep. Gorak Shep is the last spot before you reach the Everest Base Camp, 5380 meters. From Gorak Shep, it is around 45 minutes hike to reach Everest Base Camp. Everest Base Camp is the most scenic place in the Everest region with the best views of the towering peaks around you. It is a photographer’s paradise where you can freeze the best views of the mountain peaks in Nepal. You can camp at the base camp but due to safety reasons, many trekkers walk back to Gorak Shep for night stay. 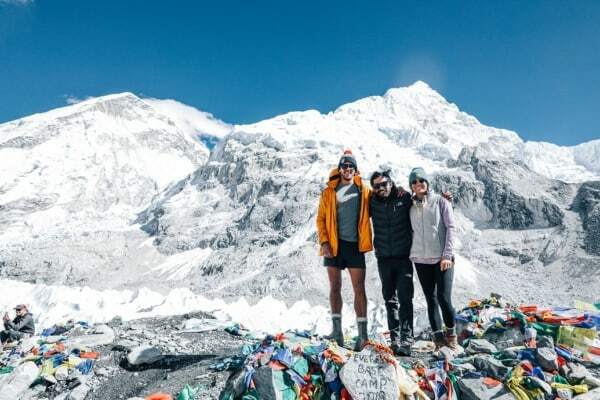 From Gorak Shep, you will hike to Kala Patthar, 5555 meters for best views of Mt Everest during the sunrise and sunset. After catching the spellbinding views of Mt Everest you will walk back to Pheriche. From there, you will walk back to Namche Bazaar and to Lukla. And finally, the trek concludes after you board the Lukla flight that lands at Kathmandu. How to Prepare to Climb Everest Base Camp? Climbing to EBC is an adventure and challenge at the same time. The scenic views and the meeting with the most hospitable Sherpa people is a lifetime achievement. But walking to the altitude up to 5555 meters is a real challenge. Though no technical experience is necessary, you have to prepare yourself in every aspect. You need to be physically as well as emotionally strong for the trek. You need to develop endurance skills in you along with good stamina for this trek. For this, you can involve in strength training and Cardiovascular training. You can start such preparations at least 3-6 months before your actual climb. To increase endurance, you can go on short hikes or treks in some extreme weather conditions. Often overlooked, mental preparation is also a crucial part of your trek. This helps to boost your physical training while keeping your mind calm. A positive attitude prepares you for all the possible setbacks during the trek. Yoga and meditation are good ways for calm and stable mental health. Once you are all set to climb Everest Base Camp, you will gather the most memorable experiences of life. This is a moderate trek where you will walk for 6-7 hours on average on the rugged terrains of the Everest region. So, if you walk slowly maintaining your walking pace, you will have a comfortable climb to Everest Base Camp. So, when are you planning to climb Everest Base Camp to gather memories for life?